There is no shortage of reviews of WordPress hosts online, so why should you listen to this one? Well, as a web designer and developer with 15 years of experience I know what makes a good web host and I’ve actually used the services mentioned here extensively. I’ve used these hosts with real websites and real users and I’m not just linking to hosts with the best affiliate programs (although this post does contain some affiliate links for products and services I genuinely use and recommend)! I’m going to do something else differently here too. I’m NOT going to list the top 10 or 20 cheap WordPress hosting providers. I’m going to limit it to 3. I’m keeping it to just a few hosts because nobody wants to spend an entire day going through a massive list of hosts, and like I’ve said – I’ve actually used all of these hosts. If someone is doing reviews of 10 or 20 hosts, do you really think they’ve used them all extensively? These things will probably come as no surprise and they are the same things I’d look for in any hosting platform. A good WordPress host should have specific knowledge of WordPress though and be aware of some of the security issues that the platform poses. So, now we know the main things we need to keep in mind let’s have a look at the best providers of cheap WordPress hosting and see what other features they provide. Dreamhost was the first ever web host I signed up with when I became a web developer a long time ago and it’s also the host that this very website is hosted on! (I told you I know a thing or too about good WordPress hosting). You can probably tell that I think Dreamhost are a great hosting company by the fact that I’ve used them for so long. I’ve had to use support for Dreamhost quite a few times in the 15 years that I’ve used them. I’ve had trouble with things like DNS settings, SSL certificate setup and downtime on websites. Every time I’ve been in touch the support has been fast, friendly and knowledgeable. They’ve never failed to help me resolve issues I’ve had. I cant ask for anymore than that. One thing Dreamhost does not have is phone support but this has never bothered me. I prefer support provided through support tickets or live chat anyway. Speed should be a major concern for any website owner and reducing the time it takes your website to load can have a strong impact on all of your marketing and online sale process. My first few websites were hosted on the cheapest shared hosting service Dreamhost have. This option is currently priced at $7.95 per month although I think it was cheaper when I signed up all those years ago. I used this plan for about 10 years and it was great. Uptime was very good and I had no complaints on site speed. When my websites started to grow and more users were coming to my websites I did start to get problems though. I had some quite regular bouts of downtime and quite often the server seemed to be responding very slowly. I also had a few issues with other users on the server using too many resources and knocking my websites offline. A few years ago I made the decision to switch from my basic, cheap WordPress hosting solution with Dreamhost to a VPS with Dreamhost. A VPS (Virtual Private Server) means that you have more control over your server and it wont be effected by other users. You get a slice of resources allocated to you only and they wont be shared by others on the server even though there are still other websites sharing your server. This has the advantage of giving you better control and performance whilst keeping costs low (but more expensive than shared hosting). My current VPS setup costs me around $20 per month and I’ve had no issues with it so far. 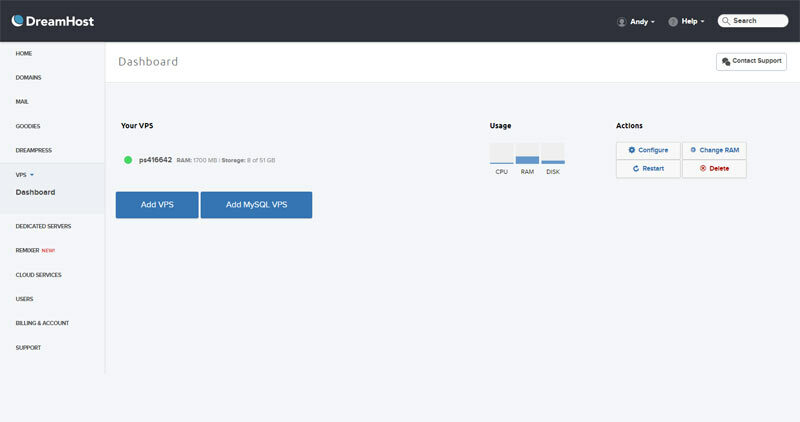 I was able to switch from shared hosting to a VPS with a single click. Overall, the speed of my websites hosted on Dreamhost has been good. I don’t think you’ll be disappointed by the speed of your website if you decide to try Dreamhost. I’ve already mentioned that my uptime suffered now and again when other users on my shared host did something that had a negative effect on the server. These were rare occurrences though and I was generally happy with the uptime of my shared host. I’m also happy with the uptime of my Dreamhost VPS server. Dreamhost now have a 100% uptime guarantee which shows how seriously they take uptime. If your web services go down, you get refunded for the time the services were not available! The admin panel is important to me because a poorly designed one can be very annoying to use if you cant find your way around it easily. I like to use commonly used control panels like cPanel when possible but Dreamhost have their own custom Dashboard. I wont lie to you. When I first signed up for Dreamhost hosting their dashboard design was not good. It was clunky and ugly and I didn’t enjoy using it at all but luckily it’s gone through many reviews since then, each one making the design much better. You can see the end result above. Dreamhost now have a simple, clean and easy to use dashboard. Dreamhost shared hosting starts at just $7.95 per month when you sign up for 3 years. Paying monthly will cost you $10.95 per month. You can get shared WordPress hosting with Dreamhost for the same price. These packages are very similar but the WordPress hosting will come pre-installed with WordPress and have extra security features to keep WordPress more secure. If you’ve got a slightly higher budget you could choose the managed WordPress hosting which is significantly more expensive but Dreamhost will take care of a lot of the day to day boring stuff for you like updates. 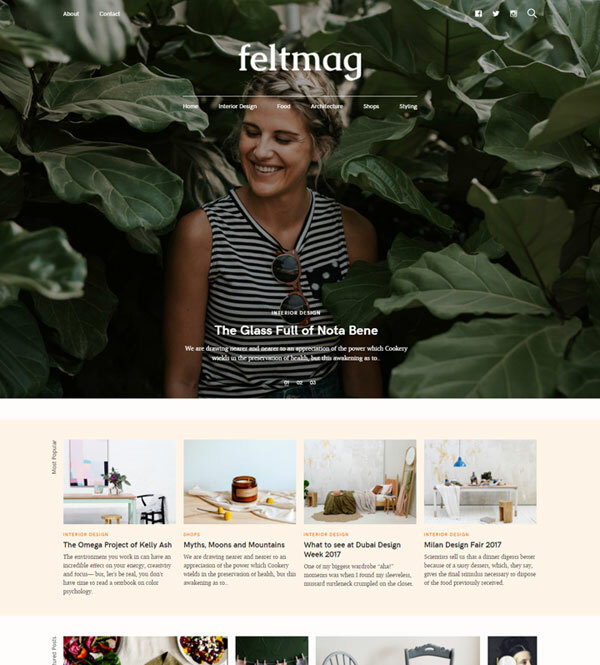 Their cheapest managed WordPress package is $17 per month for one website only. Dreamhosts pricing is very reasonable and for a starter website the unmanaged WordPress hosting will be a great choice. Dreamhost have plenty of great features but my usage of Dreamhost is fairly simple. I set up mySQL databases, buy and configure new domains and emails and set up FTP accounts. If you wanted to do more than that you have Shell access, CGI scripts, access to raw access logs, crontab access, a subversion repository and support for other scripting languages like Ruby on Rails and Python. If you are looking for cheap WordPress hosting for your own website, its pretty unlikely you’ll ever need things like this but it’s good to know they are there. SiteGround is a very popular WordPress hosting provider with some very affordable options. Perfect for anyone looking for cheap but reliable WordPress hosting. SiteGrounds support is second to none. They provide telephone support, live chat and support tickets. I’ve used their live chat a few times and the service has always been perfect. Issues have been resolved quickly and I only had to wait a few minutes to get connected to someone. SiteGround hosting speed is very good thanks to their NGINX server technology which is an extremely fast web server. All of their plans include SSD drives too. SiteGround do more than most other hosts to make sure your website is fast though. They’ve even built their own caching plugin for WordPress (SuperCacher) which is available on GrowBig and GoGeek plans. SiteGround also provide a free content delivery network which enables your content to be downloaded from multiple places around the world so that visitors from different countries can download content from the data center which is closest to them. Whilst this is a great option, it only works with domains with ‘www’ included which is a shame as I usually serve all my domains without www included. Overall, the efforts SiteGround go to in order to provide outstanding speed really shows. You wont be disappointed with the speed of your SiteGround website and they are one of the fastest hosts out there. SiteGround go the extra mile when it comes to server uptime. They have developed a number of custom solutions to minimise the risk of downtime and they claim to have an uptime of 99.99%! This is amazing and whilst I don’t have the stats to back this up, I’ve got no reason to doubt them and I’ve never experienced downtime on any client websites. I love the SiteGround admin panel. It is very beginner friendly and it also includes access to cPanel – an industry standard hosting dashboard that gives you easy access to the features of your hosting plan. If you’re already familiar with cPanel, this will really speed up how long it takes to set up your hosting features as you wont need to learn how a custom dashboard works. SiteGround pricing is great. Their cheapest plan starts at $3.95 per month. This is for their StartUp plan. This plan will be perfect for anyone setting up a new website but you can only host 1 website with this plan. For people with already established websites that need more features, space and the possibility to host multiple websites then their GrowBig and GoGeek plans are available at $5.95 and $11.95 respectively. These prices are great and either one will be perfect for anyone looking for cheap WordPress hosting but there are a few anoying issues with GiteGround pricing options. Firstly, they really try to push you to sign up for at least a year. When you go through the checkout process its not obvious that you can even change to monthly billing. If you do find the option to change then you’ll notice that you’ll be charged a set up fee (around $20) for monthly hosting! The second thing that I don’t like about their pricing is that when you renew hosting with them you’ll be paying much more. They don’t highlight this very well either. Just some small grey text above the initial price that shows the price you’ll pay after your initial term. You’ll be paying 60% more after your initial term ends! The real price is shown above the price in green. SiteGround has some awesome features, especially for advanced users. We’ve already seen some of their great features to improve speed and how good their support is but what else do they offer? As a developer, my favourite feature is their staging tool which allows you to create a test area for a website you are working on with a single click. This is available on the GoGeek plan and it has saved me lots of time over the years. Another great feature is their free website migration. SiteGround will transfer one existing website to them for free so there is no reason not to give them a try if you are looking for an awesome and cheap WordPress hosting service. Bluehost is an extremely popular provider of cheap WordPress hosting and if price is your main concern when choosing a WordPress host then this may be the one for you. They have much more to talk about then just their low prices though. Like the other hosts here, Bluehost support will not disappoint. They have an extensive set of guides online but if you ever need to get in touch you can call them, live chat or use support tickets. I’ve used their live chat feature before and got connected right away. My issue was resolved within 5 minutes and I’m confident you wont have any problems with their support service. They take support very seriously. The speed of the Bluehost sites I’ve worked with have always been good, but like my old Dreamhost shared server there were some issues when other users were doing something that slowed down the server. This happens on any shared host and Bluehost generally do a really good job of protecting against this kind of thing because they have a resource protection feature. This is where they can temporarily move websites using too much resource onto an isolated system so that other websites don’t get effected. I’m sure you wont be disappointed by the speed of your Bluehost website, and overall, they are one of the fasted shared hosting providers. Bluehost are a reliable and stable web host. They dont provide as much assurance as either SiteGround or Dreamhost when it comes to uptime though. SiteGround guarantees 99.99% uptime and Dreamhost offer money back on any time your site is offline. Not very reassuring really but I like the fact they are honest about this. ALL shared hosting providers will have problems from time to time and it’s something that any cheap WordPress hosting service will involve. You can still expect over 99% uptime from Bluehost juding by various reports from around the Internet. The Bluehost admin panel is great. They offer an enhanced version of cPanel so it’s great for anyone used to cPanel. You wont have any issues finding your way around and even if you did get stuck there are tons of guides online to help you. 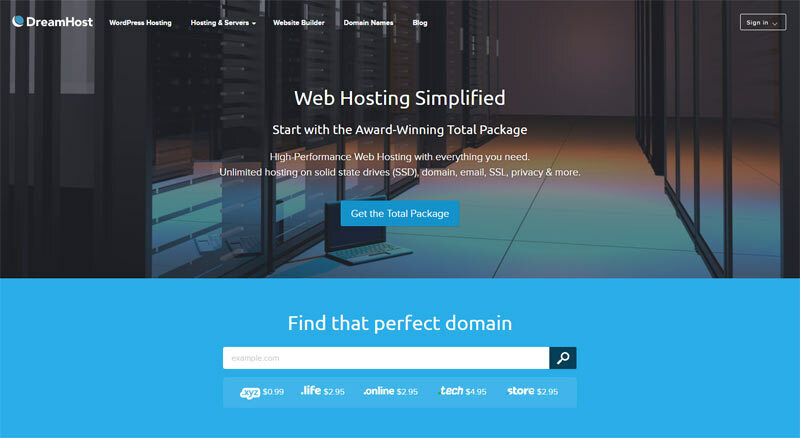 Bluehost is similar to SiteGround when it comes to pricing. They have the lowest introduction price out of all the hosts here but to get that price, you need to sign up for 36 months! The least you can sign up for is 12 months and then the cost jumps to $5.45 per month. These prices are only valid for your first term too. Once your initial period is over the price will jump up and Bluehost don’t make it clear on the checkout page what the price will be when that term ends. They also pre-select a couple of unnecessary feature during checkout such as the Bluehost SEO tools which increases the price significantly. You can just un-select these options but I don’t like the way they try to include them by default. Bluehost has plenty of nice features but I think Bluehost is much more beginner orientated than either Dreamhost or SiteGround so they don’t have some of the more advanced features. There’s nothing wrong with this, as most people looking for cheap WordPress hosting would never use them anyway. Some of the good features that Bluehost provide are the automatic backups they do, the Cloudflare integration built into their accounts and the one click installs that are useful for beginners. Who’s the Best Cheap WordPress Hosting Provider? 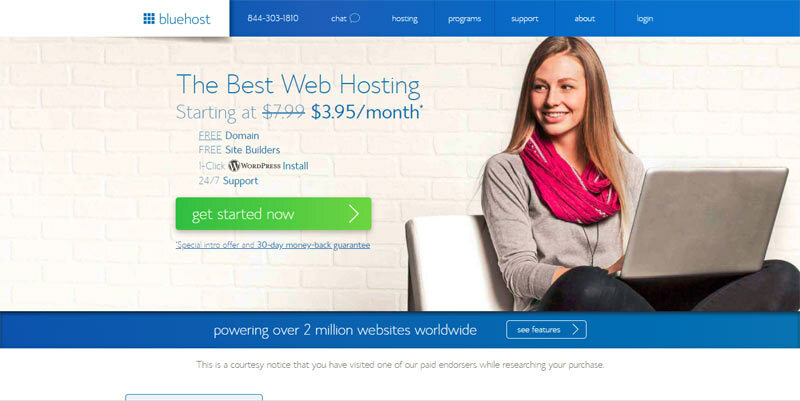 Bluehost will work out as the cheapest Wordress hosting provider in most cases. The monthly cost will be about half of Dreamhost. Bluehost will also be a few dollars less each month than SiteGround hosting once the introduction period is over. All 3 hosts are going to provide great speed and uptime so I’m not going to pick a winner here. The nature of shared hosting means that all of the sites will have periods of slow response times and downtime. Charts you see online about uptime and speed don’t mean much because they may not even be testing the same server that you’ll be on when you sign up! The truth is – all of these hosts take downtime and speed seriously and you wont be disappointed with any of them. You’ll only need to start thinking about speed and uptime when your site starts to grow to serious levels and you need a rock solid solution you have complete control over. This is an easy one. I’d choose either Bluehost or SiteGround for the cPanel access they provide. Dreamhost has provided lots of great support to me over the years but I’m going to give the edge to SiteGround because they’ve really impressed me each time I’ve used them. I think SiteGround has the best features, especially for advanced users. I think it’s quite difficult to choose between these hosts but Siteground gets my overall recommendation because they are great for beginners but have advanced features that more advanced users will love too. Their great features combined with cheap pricing means you wont be disappointed with them.